Honestly, I never like gel liner. It's on pot and need a gel liner brush to apply, I think it's so inconvenient. Especially if I'm in a rush and I always forget where I put my brush, lol. That's why I always stick to liquid eyeliner for an eyeliner. Comes inside an air tight package, this to make sure the quality of the gel liner still good. The labelling is look super cute too, hahah I love the fresh strawberry and lime colour. This means you only can turn it one way to get out the liner, turn it right until the pencil appear. Don't turn if the pencil is still present! 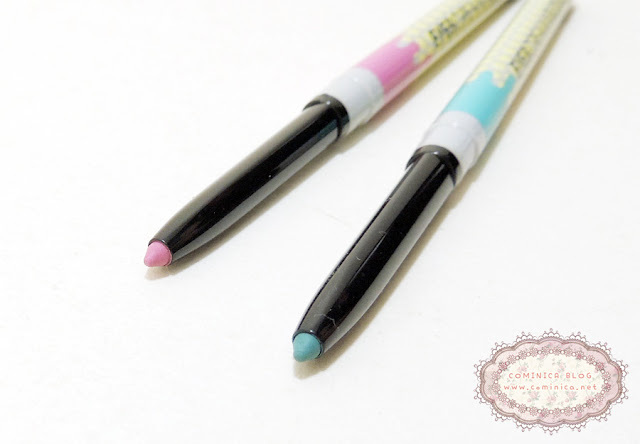 The pencil size diameter is 4mm, small enough to create a precise line. Super super CUTE! I love the dot pattern on the body and the melting ice cream drawing. The pink one is the strawberry and the green one is the lime! A strawberry pink colour, look sweet and cute~ I really love this colour because it looks so girly! 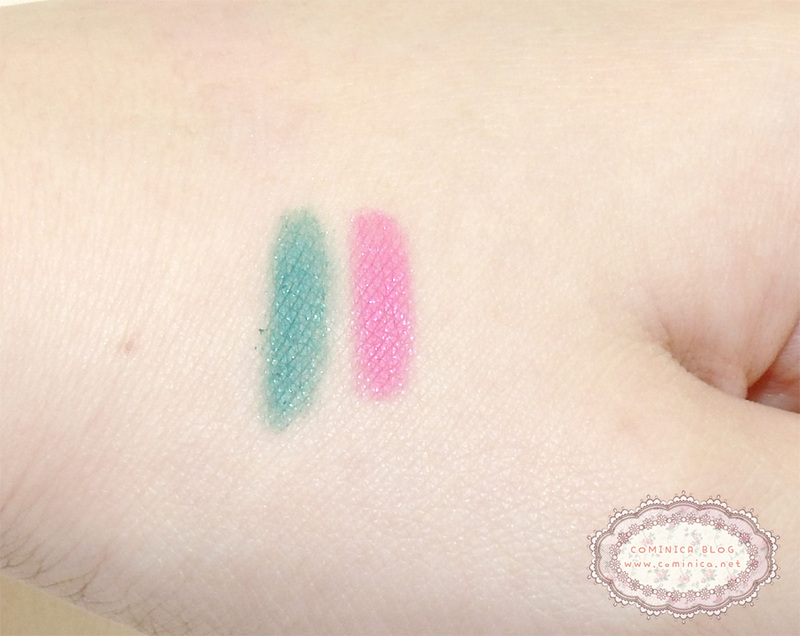 Both colours looks pigmented and good. It's waterproof and not smudging on my eyes. If sweating it can fade a little. 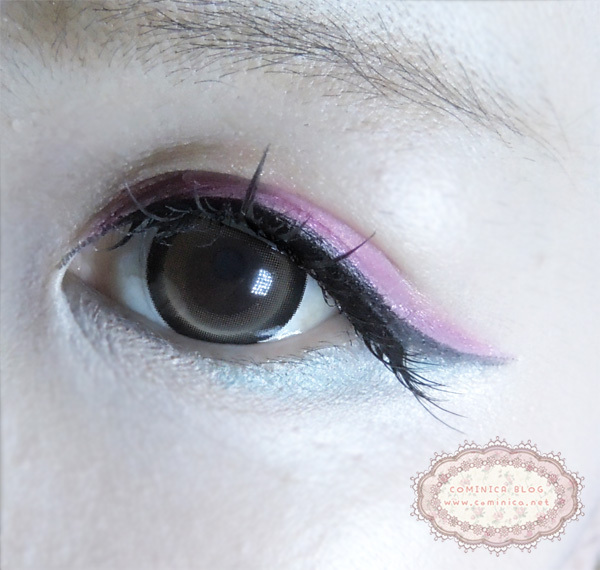 The texture is soft and easy to draw after eye make up. I love use this gel eyeliner after all my eye make up is done. I use it as an accent so my eye make up looks more playful and not boring. And since this is an eyeliner, it's so easy to apply! Works better than eyeshadow, hahahha! Shows on picture too! Sorry for my over white lightning, I have my reason though, loll. At least you can see the eyeliner color!
. pencil type so it's easier and quicker to apply! If you're wondering where to get this Love Eyes Cream Gel Liner, you can get them at BLINGALWAYS. They sell popular Japanese Cosmetics and they based in Singapore, it's not too far la from Indonesia. You can order from them and set a meet up with them if you don't want to pay the shipping :p.
That look great. Would you say it's well priced? I love the colors of the eyeliner. Quality articles or reviews is the main to be a focus for the viewers to visit the web site, that's what this site is providing.